just make sure the waxcast gets 2-3 hours at 1500-1600. Haven’t cast yet. but I have a minor issue that I’m sure someone knows something about. Getting great results at 20um. But I am having a weird thing happening at the bottom of the prints, the very first few layers past the supports things are a little ugly… Not just because of the supports, but the prints are a little washed out. I know these particular photos show a very fragile item, .8mm thick at the thickest part. but the issue shows clearly. There is nothing to complain about at the top of the ring directly above the problem area. The last photo shows the problem area, the rest are just for context. I can’t say for sure the issue… I just know that waxcast (or most castable resins) have a really hard time at that resolution, just because it is so soft. I wish that the Peopoly’s resin was castable. It prints so freaking well. Couple more 20um waxcast prints. Looking pretty great! First cast was a bust. Really rough surface texture. 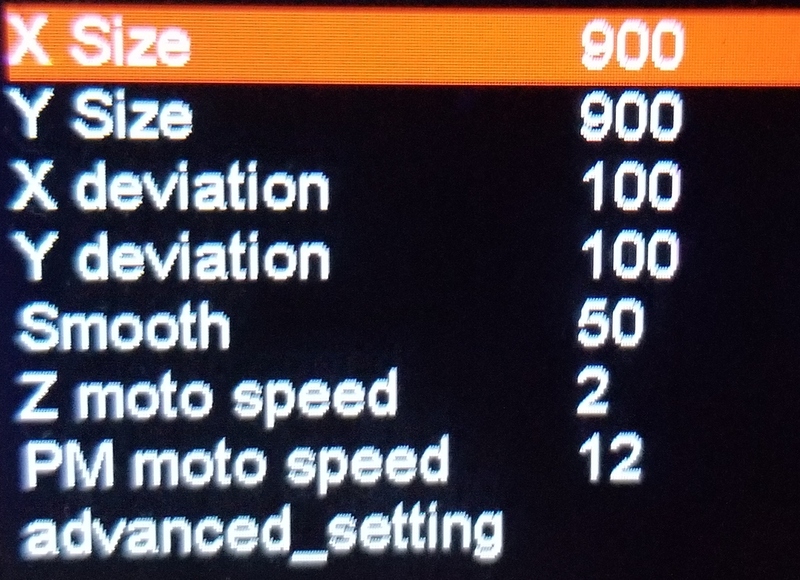 By the way, what settings did you finally settle on to print at 20um? 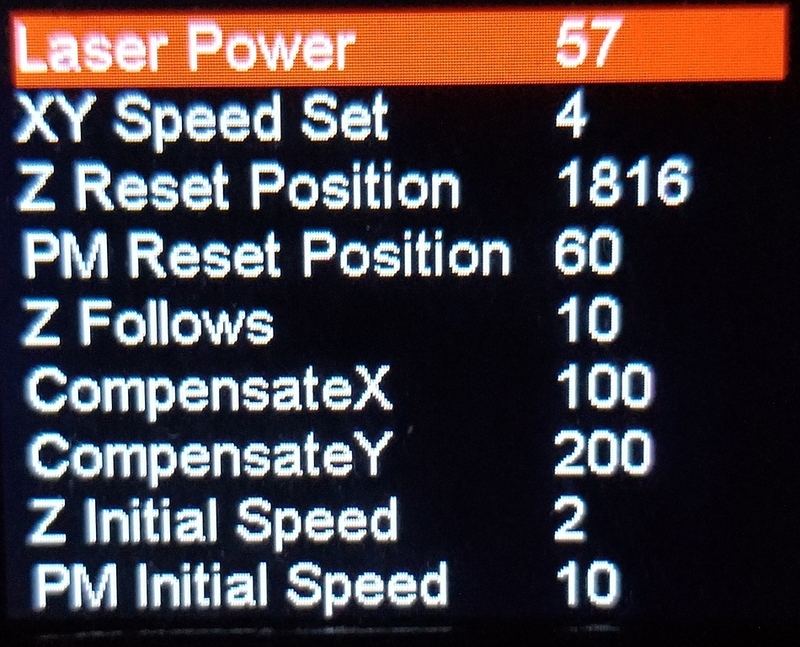 I should mention that a couple prints failed at 100um with these settings, but 20um worked fine. I use Asura to build supports and Cura to slice. I am using the moai specific profiles in the most recent versions. So my printings have been turning out quite well. But now I am running into the problem of shrinkage. I understand that there is shrinkage, but I am unsure as how to compensate. 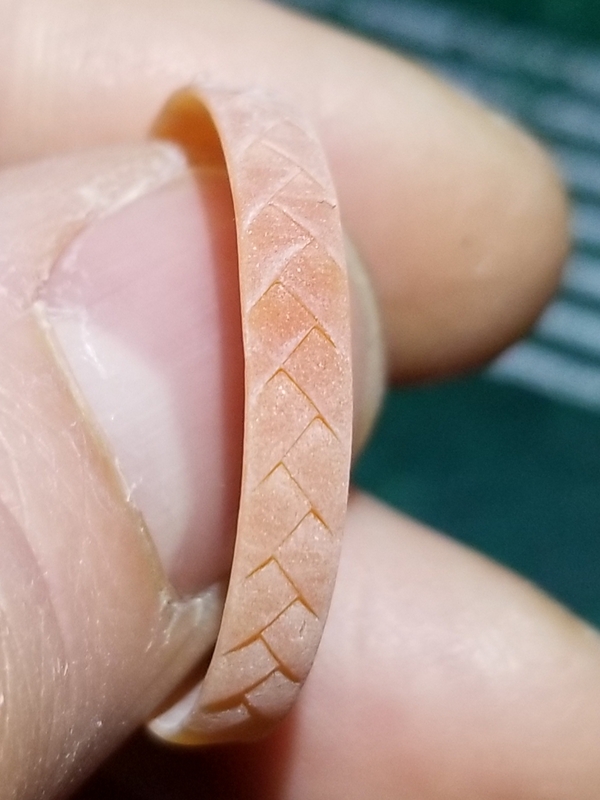 When I am printing rings, I noticed that if I modeled the width of a ring shank at 4.0mm, it would be 3.8 after printed/cured. I am using wax cast with all the settings as in my previous post. Anyone have any ideas on how to deal with this? LoL. That doesn’t work with all bands also, a terrible solution! I know it was more of a joke, But I have used that as a Solution. 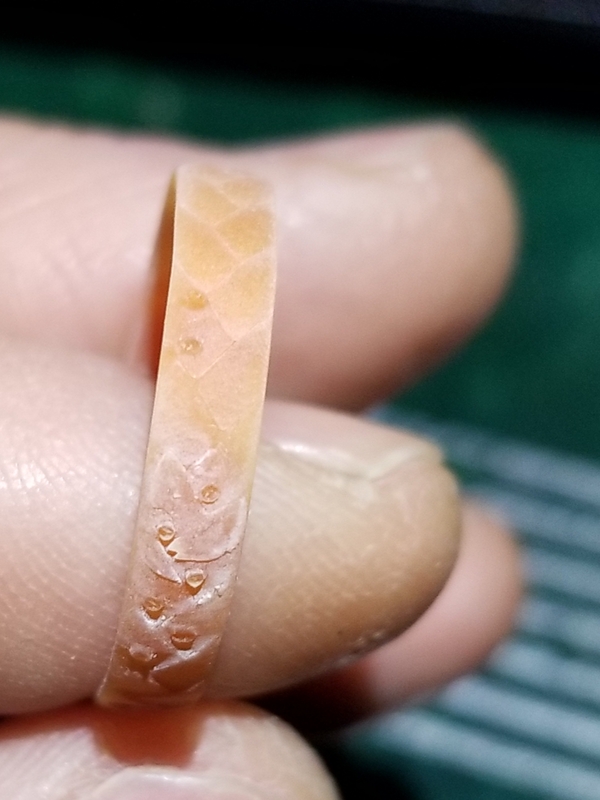 Most of the time I just try to get the ring close and then I resize it based on what the customer needs by cutting and welding. The dimensions on the stone might change a little bit but if you have knowledge and know how you should be able to make a stone fit so long as it hasn’t changed dramatically. 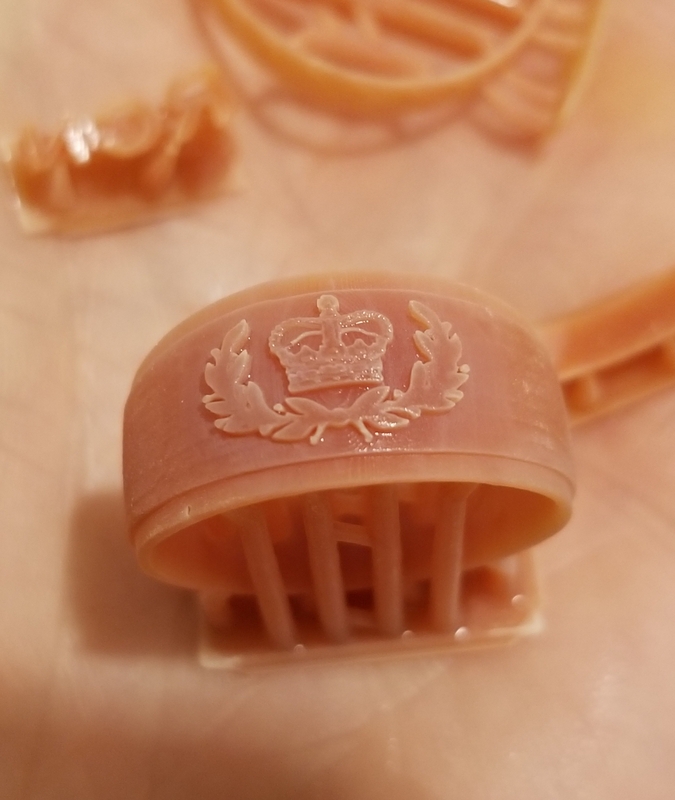 It seems that a decent solution is to make the ring 1 size smaller than needed than scaling up 1.05% for printing. Actually I have done something very similar to that before and it has worked out. I just don’t think it’s ready for prime time yet. hi guys, I am not quite following the conversation here. Are you saying you are losing 5% of volume after print and you think the slicer is the issue. 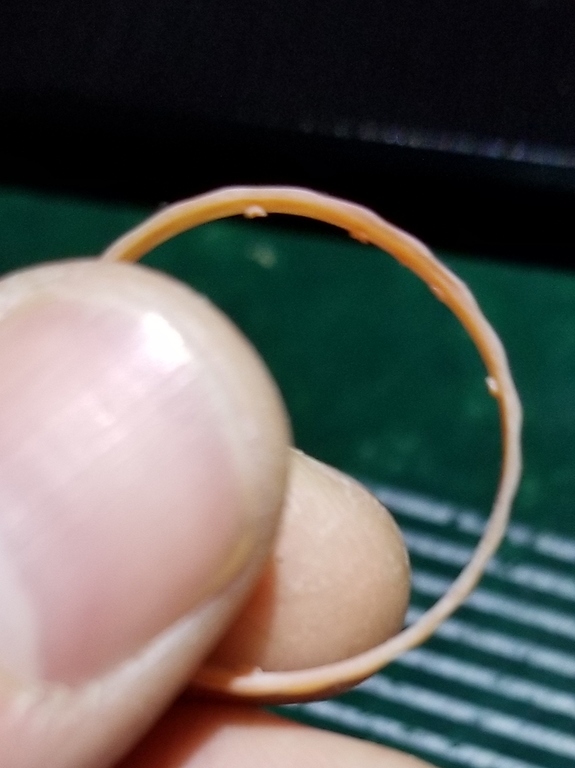 Resin do have shrinkage and 5% by volume is fine. But if you are getting 5% shrinkage in one axis, then that is too much. It is unlikely to be Asura because it slices with Cura slicer engine. If you can give me like a concrete example, perhaps I can take it to the programmers. I’m not saying the shrinkage is related to Azura. Just giving some advice because in my opinion Azura is still in a testing phase and needs more work before used by the masses (My opinion). He is trying to find a solution to his problem so I recommend him to use something that’s more grounded and familiar. 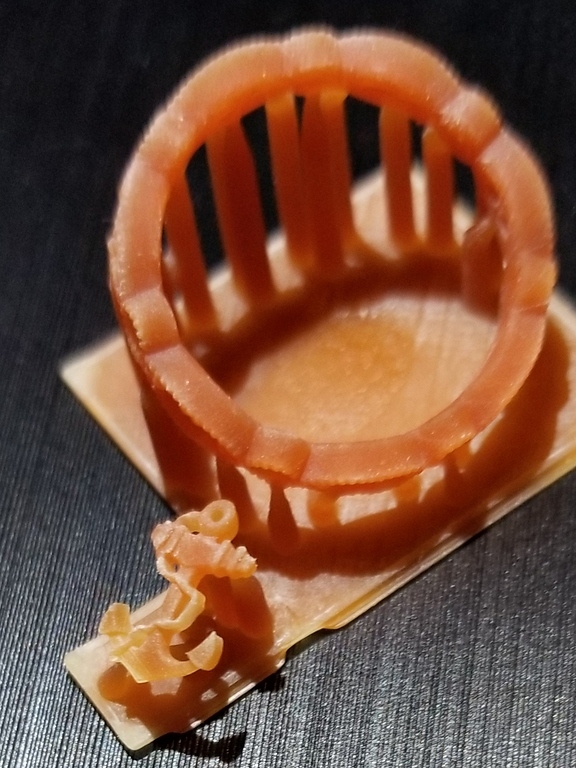 I guess what it boils down to is that Asura has distortion correction where Cura does not. That being said, after all the re-calibrating and messing around I have some pretty sweet prints with the Waxcast at 20um. Check it! -Note the tiny dots between the letters. Hello! we have just purchased a tiger XHD plus 3d printer, Im not having an issue with the printing yet, (my boss and I are very new to all of this) but we are not able to get a good cast. weve increased our cure times, done what the romanoff guy suggested with water and uv curing… burnout times… now he can only suggest a new type of investment. We are using the burgundy resin. prints come out GREAT and CRISP, but does not cast well. any advice?